With a third of the teaching workforce predicted to leave the profession by 2020, Elizabeth Holmes explores the links between positive mental health, productivity and retention. Research by the Education Support Partnership has revealed that over a third of the school, FE and HE profession expect to leave teaching by 2020. Some will be retiring, but many others will be leaving for negative reasons, with some driven away by workload, stress and exhaustion. The Education Sector Health Survey 2015 also makes for utterly depressing reading. It reveals that schools are currently facing ‘an epidemic’ of mental health issues as ‘84% of those working in education admit to suffering problems, with workload to blame in 81% of cases’. We can deny it all we like, but the fact remains. Mental health among education staff is apparently shockingly poor. Many years ago, when CPD was just starting to receive a greater focus in schools and beyond, I was involved in some projects exploring ways in which professional development could also embrace the personal and therefore impact wellbeing. The understanding, then, was that professional development is limited if we disregard personal development, and that the two are inextricably linked. Whether this belief has been harnessed to maximum benefit in the intervening years is open for debate but at a time when mental health is being more openly discussed, we would do well to remember these links. Interestingly, the theme for this week’s focus on mental health is ‘relationships’. Perhaps controversially, I would go as far as saying that teaching is all about relationships: primarily, the relationships we build with the young people we teach, but also those we build with their parents and guardians, and our colleagues. But it’s possibly the relationship we have with ourselves that has greatest influence on the degree of wellbeing we feel in our work. 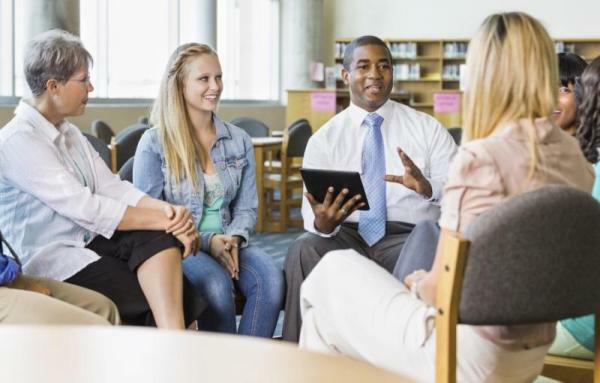 Some schools are making great strides towards fully supporting the mental health of staff. I hear of many positive measures to make working life happier and less stressful, such as closing the school ‘early’ a few days a week to ensure that staff get the message that staying late isn’t expected and won’t always be supported. Other schools have arranged for teachers to have free or subsidised access to stress-relieving therapies such as massage, yoga or reflexology. Regardless of the approach, the fact that the need to take direct action to help teachers to stay well in the job is being taken seriously has to be a good thing. I’m currently reading A Year of Living Danishly: Uncovering the Secrets of the World’s Happiest Country by Helen Russell. It’s an insightful book. Not only do Danes work fewer hours than we do in the UK, but the many state measures and national expectations they have in place to ensure people achieve balance in their lives between work, family and leisure time evidently nurture wellbeing. Working excessively long hours? In Denmark you’re more likely to be sent on a time management course than be praised for your commitment to the job. Shorter hours mean greater productivity for the Danes, apparently, and the positive impact on happiness levels is evidenced in study after study. In the absence of cultural and political drive for teachers’ sound mental health, what steps can we take with immediate effect to address the worst of our health-destroying excesses in schools? These ideas may help. Encourage better knowledge about good mental health: not recognising the signs of deteriorating mental health seems to be common yet this can mean a more difficult road to recovery. Make sure staff have access to high quality information on protecting and preserving good mental health at school. The Mental Health Foundation and Mind are great places to start. Incorporate a focus on good mental health in every training and meeting at school: this doesn’t need to dominate everything you do, but should be present as a gentle reminder. Without good mental health, the task of teaching effectively without detrimental impact on the teacher is significantly harder. Consider the use of online resources: organisations such as the Education Support Partnership, Life Squared and School of Life provide high quality resources that can be used or adapted for school staff. Be deliberate about developing strategies to ensure that teachers at your school are staying. The Education Support Partnership is gathering information about what schools are doing to ensure that teachers remain in the profession. Find out more at #NotQuittingTeaching and about their recruitment and retention research.